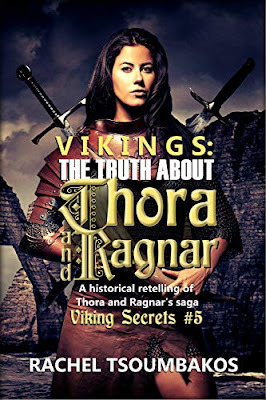 The Ragnar series by Rachel Tsoumbakos is based on the bloodthirsty spectacle that is The Vikings. Filled with love, magic, and war, Tsoumbakos has merged Norse myth with adventure and created a series based around Ragnar Lothbrok and his wives. 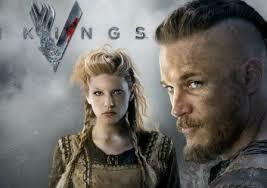 My favorite of the wives is Lagertha. She was a shieldmaiden who fought beside her husband. Their warlike love creates a fascinating tale. A golden-haired warrior, Lagertha's blood-lust turns into love for Ragnar in a wild story about vengeance and betrayal. In The Vikings television series, writers have taken liberties with history to create their own visions. After all, Norse history depends on oral tradition and folktales. Therefore, the Ragnar cycle is fair game for interpretation. The Tsoumbakos books also breathe life into these ancient tales, but in a way that is more historically accurate than the series. Ragnar, Lagertha, and the other characters spring to life. Each has a distinct personality: Ragnar is demanding, Lagertha is passionate, and Thora has her own dark side. The author has stayed true to myth and history. There are no romanticized heroes in her books. Ragnar is bloodthirsty and incredibly male. However, he's no front-cover male model with a waxed chest and flowing locks. Tsoumbakos has steadfastly refused to write 'wubbified' versions of these warriors. 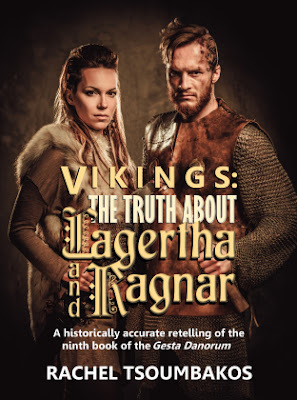 Instead, this author portrays the Vikings in all their bloodthirsty sweat. In my opinion, her books are all the more fascinating for doing so. Since I loved Lagertha so much, Thora annoyed me at first. However, when I read Thora and Ragnar, I was spellbound by her magical history. Without giving away the ending, when I read the final words they gave me chills. I'll just say that the author makes the series come full circle in a way that I found completely satisfying. If you enjoy historical drama with human elements and romance, I definitely suggest the Ragnar series by Rachel Tsoumbakos. Connect with Alison on Facebook, Twitter, Google+, and Pinterest.